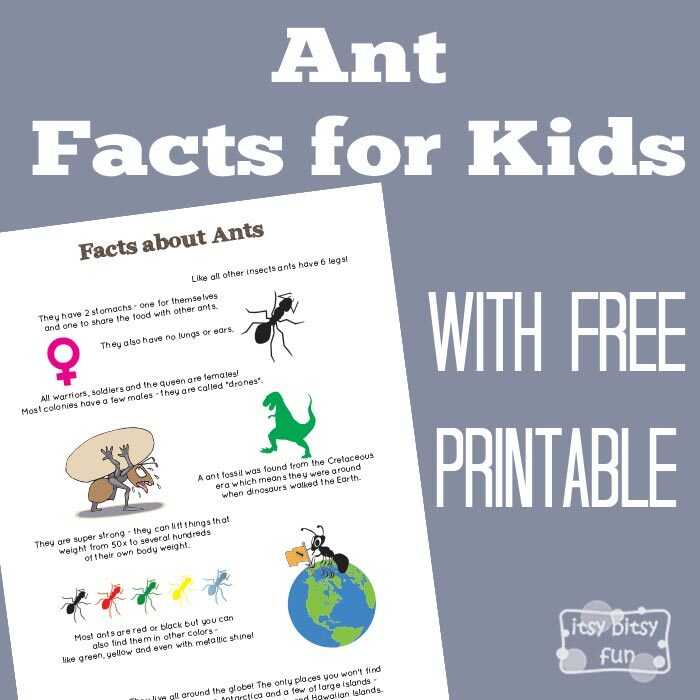 There are so many interesting and Fun Ant Facts for Kids! Let’s learn with facts about ant for kids! We went through the insect facts for kids the other day and now it’s time to look into one of the members of the insect family – ants. These are super fun for preschoolers, kindergarten and older kids! These little bugs are one of the worlds’ most famous insects and I am 99.99% sure your child has already seen one or two (thousands). There are so many fascinating things to be learned about these little critters so let’s start shall we? Like all other insects they have 6 legs! They are super strong – they can lift things that weight from 50x to several hundreds of their own body weight. They have 2 stomachs – one for themselves and one to share the food with other ants. They also have no lungs. They live all around the globe! The only places you won’t find indigenous ants are Antarctica and a few of large islands – Greenland, Iceland, Parts of Polynesia and Hawaiian Islands. Most ants are red or black but you can also find them in other colors – like green, yellow and even with metallic shine! All warriors, soldiers and the queen are females! Most colonies have a few males – they are called “drones”. A ant fossil was found from the Cretaceous era which means they were around when dinosaurs walked the Earth. They range in size from about 0,75 mm to 52 mm (0,03 – 2 inch) so the biggest ants could easily step on the smallest one. 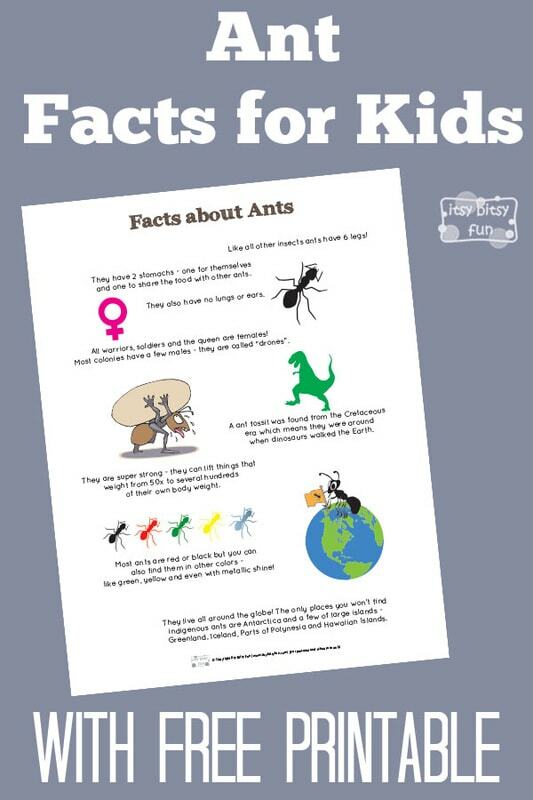 Get your free printable PDF with Ant Facts here.